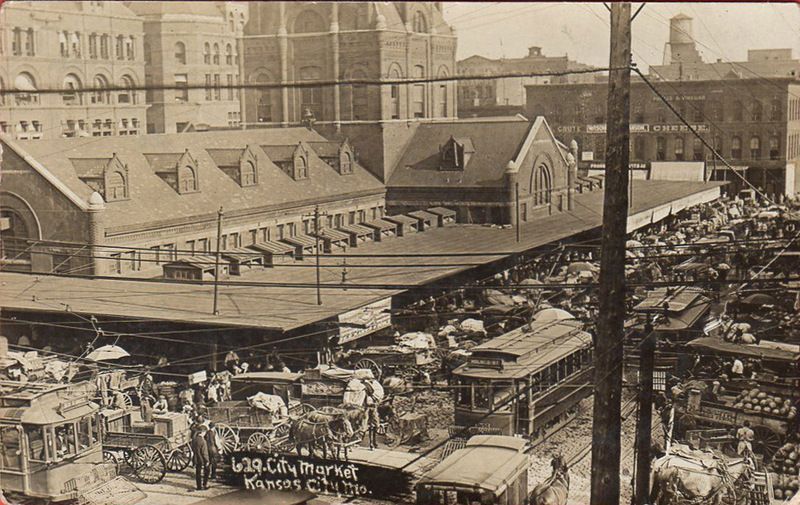 Someone on eBay is selling a postcard of the Public Market in Kansas City, Missouri. The slightly elevated view shows a crowded market day with the single-story market building at the intersection of two busy streets, alive with pedestrian traffic, horse-drawn delivery wagons, and electric trolleys (“streetcars” when I was much younger in Chicago). The seller’s spiel is curious and actually undermines potential interest in the card: they wonder whether the crowding has, in some way, been enhanced. Incidentally, the building in the left background was the City Hall, a design of circa 1890 by Chicago architects Burnham & Root. The sellers don’t mention Photoshopping; they don’t have to, because real photo postcards (RPPCs in the trade) often ghosted in a trolley to suggest that some small Midwestern or Great Plains hamlet was far more advanced, more urbane, than its gravel streets and saloon-front stores would suggest. 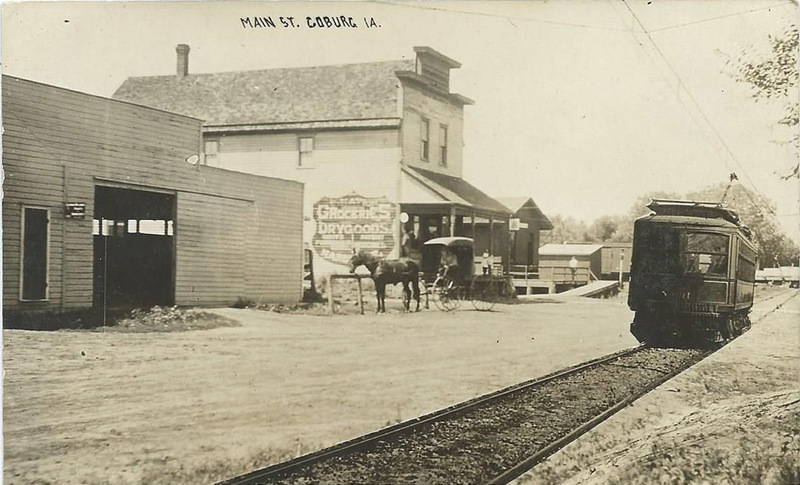 FYI, here’s an example of the Main Street of Coberg, Iowa with a superimposed street railway. Are you laughing? No one seriously believed these cards. But the folks in many “wide spots in the road” of the American outback aspired to be another Chicago or a newer and better Kansas City. Remember that in 1907 it was the place that had “…gone about as far as they can go.” Agincourt had aspirations. Its people hoped to improve themselves and the future for their children. My own political preferences tell me that they may have weighed the potential costs of those improvements and, I hope, tried to better themselves at a minimal cost to others. By agincourtiowa in Uncategorized on Sunday/09/August/2015 .